7 vendors have this plant for sale.81 members have or want this plant for trade. When you get lemongrass, make sure you're getting the West Indian variety - the East Indian one is invasive, sends out offshoots and blooms with seeds spreading everywhere. I have just found this out in a discussion with fellow gardeners who were very much against planting lemongrass in a community garden. Confusion got resolved by one of us plant geeks who knew the difference. My lemongrasses are the best plants ever, bush up to 4 feet into a nice, huge well-shaped round ball, never send offshoots and never bloom. I have maybe 30 bushes in different parts of the property and they enjoy no care and lots of sun for years. Our garden club maintains a Sensory Garden in Pleasanton, CA where there is a large specimen of lemon grass. 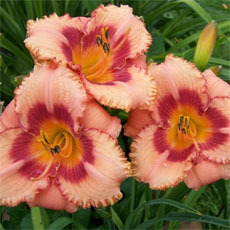 it receives full sun in a raised bed in sandy loam and is watered by a drip irrigation system so drainage is excellent. It has been there many years and has experienced temperature drops into the mid-20s during winter. It browns off in winter, but we cut it back at the end of winter and then it sends up lots of new growth. 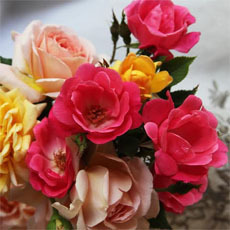 At that time, we have taken divisions from the mother plant, but they are slow to develop into new plants. We grow this in Vanuatu, S. Pacific, and it loves the volcanic soil and hot, humid climate. We pick it every day for tea (said to make the smell of your skin unpleasant to mosquitoes), and it just grows on, happily and beautifully. I'm in z.9a, Spring, TX. I grow this plant for 3 purposes: cooking Asian food, decorating my gardens and repelling snakes. Lemongrass can be used in soups, stews, or used as seasoning for pork, beef, chicken and seafood. 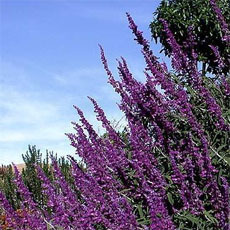 I grow it at elbow corners as a focal point in my herb and flower gardens. It can grow easily in pots. Snakes don't like its citrus smell from the leaves. 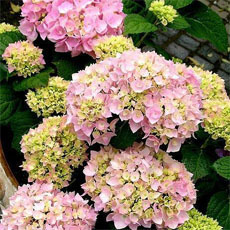 Its leaves or the tips can turn brown in extreme heat in summer. After winter, cut it down, it will grow back. It requires very little care. i live in zone 8a and have never seen it go to seed. does it take tropical temps. ?mine freezes back every year so in early spring i burn it back and it comes back great! Very easy to grow from seed. I planted the seeds in a seed tray with bottom heat, and high humidity. I had sprouts the next day! If you like decorative grasses, this is the plant to grow! I llive in Central Florida and bought one small plant three years ago. Not only did the original plant get large and beautiful, it seeded freely and I have lots of babies that I give away or move to other areas. I have a large yard, and a row of these makes a nice divider and wind break. The seed stalks look like Pampas grass stalks on a diet. It is drought tough, but our heavy rains don't bother it either. I'm in MA, and the plant grows beautifully throughout the summer. I have tried wintering it over for three years now (in the house) and it dies. I suggest that you pick all the stalks at the end of the summer, cut them however you wish to use them, and freeze the pieces. This has worked well for me. I'm am giving up on the wintering over. I'll just buy a new plant every year. Our nurseries have them in the Herb section and a tiny $3.00 plant will grow to 30" tall by fall. I grew lemongrass from seed purchased from Richter's Herbs, one year; - it must've been very fresh seed, almost all of it sprouted, so I had waay too many plantlets. I gave most away, the rest I put in a large patio pot with my (Greek) Laurel tree, since they have similar watering requirements, (light, intermittent) . It thrived on benign neglect; and I still had plenty of blades to dry plus clumps to give to friends later, when I thinned it out. Don't know about the notation stating lemongrass doesn't grow true to seed, or is sterile; the lemongrass seed I grew, did beautifully!). I started it in a plastic sandwich bag of potting soil, it took about a week for seedlings to appear. I garden in the Florida Panhandle (8a) about 15 miles north of Jenny G. in Shalimar. Our temperatures are often 20º colder in the winter. I have 3 lemon grass plants in the soil planted 3 years ago. They die back to a beautiful rustling brown in the winter. As soon as I know temperatures are past the point of freezing, the entire plant (green sprouts in the center too) gets a haircut to 6", I've never fertilized my plants and doubt I ever will. 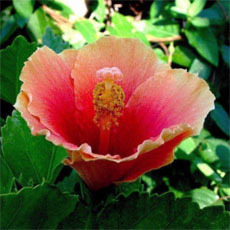 This is just about the easiest tropical plant to grow in a pot in summer here. With little care beyond watering it if there hasn't been recent rain, I have had them attain heights of 5 ft. or more in a single season, even when in partial shade. I have had mixed results overwintering them indoors and continue to experiment with the best way to do that here; I think this winter I will try a humidity tray and see if that helps. 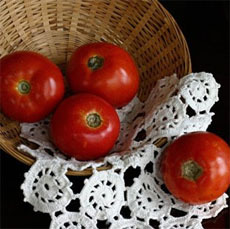 Wonderful for Southeast Asian cooking and for the garden. Easy to grow-is not very fussy. Give sun, water, and fertilize every once in a while, and it will grow well. Easy to start: just go to local oriental market's vegetable section and buy a bundle of lemongrass stalks (get the freshly cut ones-they are green and plump). Cut the stalks with the white swollen end down so that they are about 12" - Discard the upper cut portions or use in cooking. Place the cut lower sections in a glass of water and let stems form roots. In glass of water, roots are clearly visible in 7-10 days.When adequate roots are formed, then plant rooted stems in potting soil and place in diffuse sunlight. Keep moist but not wet. Can also pot the trimmed lower portions in potting soil and skip rooting in water. Ste... read morems will grow roots directly in potting soil. This is great plant to use in garden but also great for using in the kitchen. I live in southeastern Louisiana in Zone 9A. These are supposed to be propagated by dividing the rootball but if you start from scratch there is another method. Just buy some lemon grass stems from the supermarket and put them bottom down in a glass of water. If you're lucky they will develop roots after a few weeks time. This makes a great tea, hot or cold. better yet, is a combination of freshly grated ginger root and mint leaves with slices of lemmon grass from the white-going into the green part of the plant, as in Thai soup. This is the second season I've had this plant. Last year it was in a container and it grew well. I covered it when winter brought temps below 32. It's planted in the garden now and has done great. Hurricane Ivan pummeled it, we cut it down, but it grew right back. So far, I only have a small plant at this time. I have had some in the past that grew into huge clumps. Wonderful in South East Asian dishes. Out on Maui, it works wonderfully for an edging plant, to keep the grass from invading an area. We prefer it to the more dense and quickly growing vetiver grass, because it is temporary and can be removed easily if the edge is expanded. Valuable for permaculture and a great sooting tea from the leaves. In Costa Rica they use the root decoction of "sacate limon" for sore throats. I've been growing Lemongrass for years and found it refreshing as iced tea in the summer and soothing and comforting in the winter as hot tea. It's medicinal properties are well documented. Any garden is incomplete without this herb. I regularly use lemon grass in cooking. I have to grow it in a large pot and keep it in a cool greenhouse over winter here in Northcentral Florida, zone 8b, but I go to all that trouble because the herb imparts such a wonderful flavor to oriental soups and fish. Carol Saville's excellent book "Exotic Herbs" devotes three whole pages to this herb, and includes a recipe for "Lemon Grass and Vietnamese Balm Cooler." I grew this plant in the ground in St. Petersburg for many years, zone 9b, and the small plant I purchased this Spring and potted up in rich potting soil is now close to three feet tall despite constant "pruning" for cooking. I absolutely love my lemongrass. I planted two plants about eight months ago, and they were about 3 strands of grass each. 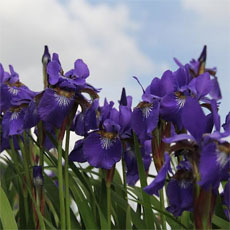 Now, they are huge, mature, beautiful plants with a graceful, swaying drooping habit as it gets long. Propagate by division. 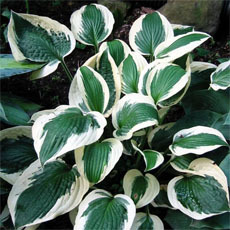 Needs full sun to light shade, and is not frost tolerant. I live in a hot semi-arid climate that does not freeze. This grass grows in dense clumps that can grow to 6 feet in height to about 4 feet in width. The strap-like leaves are 1/2 to 1 inch wide, about 3 feet long, and have gracefully drooping tips. 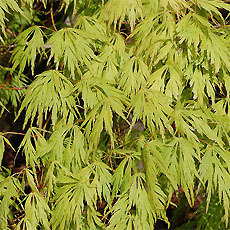 The leaves are bright yellow-green and release a lemon aroma when crushed.